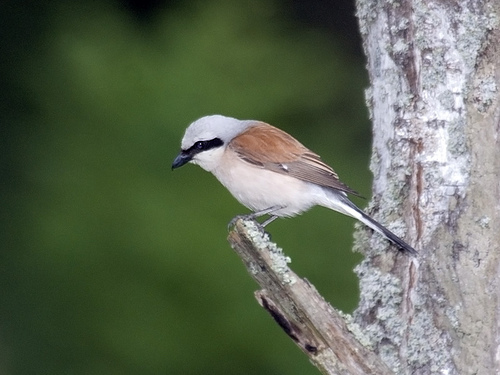 The Shrike is a songbird but behaves as a kind of bird of prey. Not only insects, but also mice and small birds are eaten. It pricks its prey on a thorn to make it easier to eat. 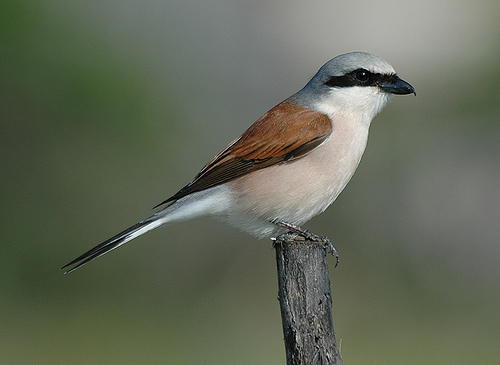 The Red-backed Shrike has brown wings, the Great Grey Shrike has black wings.